When it came to selecting the face of its new Miss Viv’ handbag campaign, the term “celebrity” is not necessarily one that the creative team at Roger Vivier had in mind. Instead of enlisting your standard Hollywood actress, the storied fashion house opted for a more subtle approach, choosing design influencer, Ambra Medda. Medda’s natural poise and exceptional design aesthetic make her a perfect match for Roger Vivier, which is known the world over as the epitome of luxury fashion. 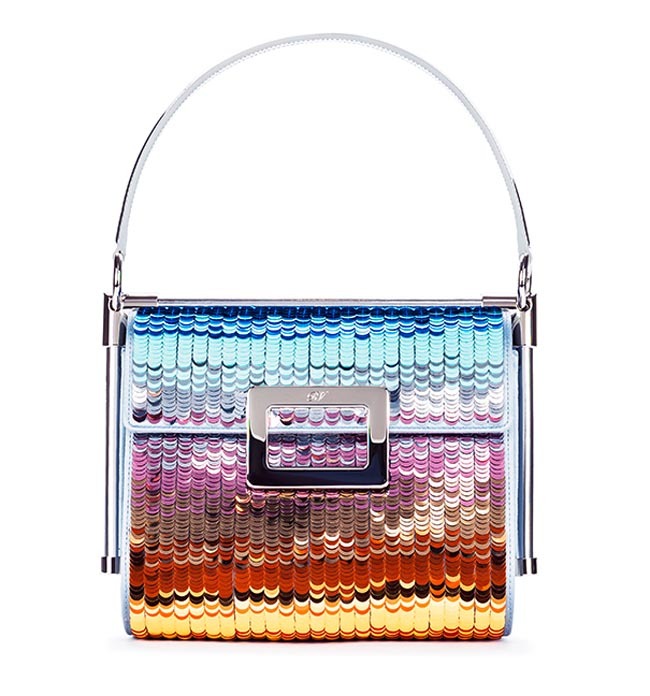 Medda collaborated with Roger Vivier to create her own version of the bag, appropriately named Miss Viv’ L’ArcoBaleno. The collectors piece, which is exquisitely adorned with rainbow sequins, will be available in limited quantities this October at select Roger Vivier boutiques worldwide.